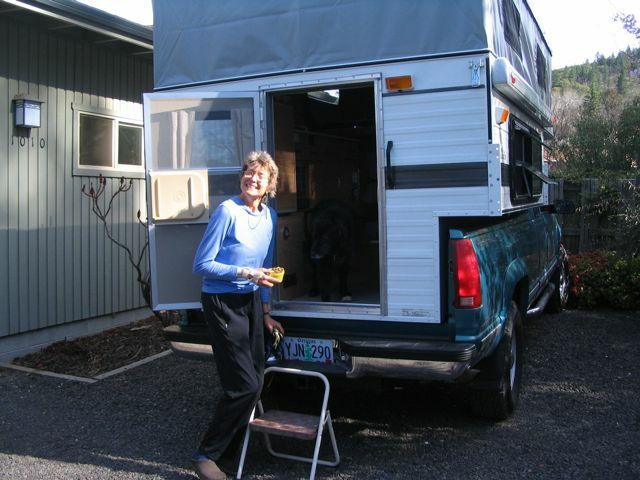 We purchased our Four-Wheel pop-up camper early in 2006, ready for a summer of camping. 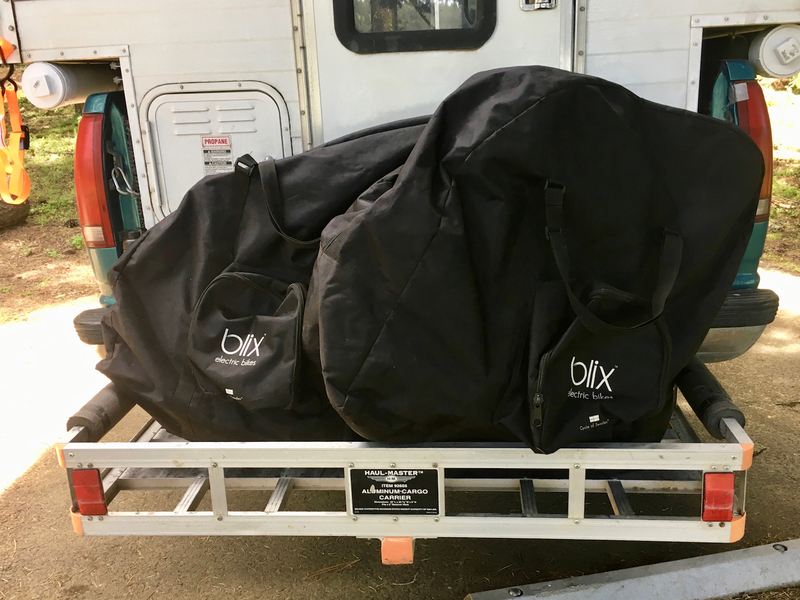 The sticker price was around $14,000, and when you divide that by the number of nights we’ve spent in our 8′ Grandby model, the PPN (price per night: $35) is steadily shrinking. Then we’ll figure in the price of our ’98 GMC 2500 pick-’em-up. Photos of our adventures are online and organized into galleries. Try clicking on a thumbnail (if one exists) for a direct link to images for that photo gallery. 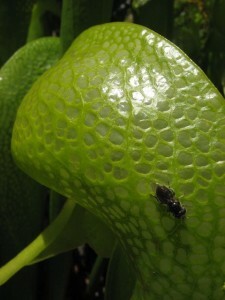 Once there, click on any of the thumbnail images to view all the images. 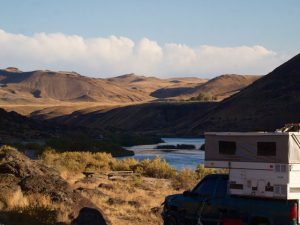 After leaving Enterprise, found this clean campground with optional hookups on the Snake River (just outside Clarkston, WA and Lewiston, ID). Following day we beelined it to Spokane and picked up Carol at the airport. The gang moved to a parking space adjacent to the wedding venue. 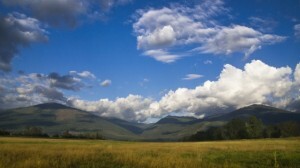 Easy access to the Wallowa River, the wedding festivities, and good birding. Camped with the gang (including Alicia in a tent). Oh, and the dogs. Rode bikes, plenty of rain. Originally planned on camping in the Buckhorn Campground but some jerk left a couple deer skins & entrails in one of the sites that stunk the place up really bad. We continued a mile or so to the overlook and camped there with the Heyermans, Bryants, Karlins, Alicia and Lee. Simply fantastic overlook with views galore. Some wind the second night. Be prepared on subsequent campouts there. Frazier Campground is between Ukiah and LaGrande, OR. Hunters Camp, no water, off the highway a bit. Revisited the beautiful Horse Creek with a great group of campers. Reserved Horse Creek Group Campground for 3 nights (stays first two). 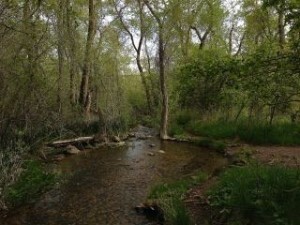 Great deal, good fishing, room for 40-50 people in 10 campsites (some right on the creek. Camped one night outside LaPine, OR with Alicia, Mo, Stacey and Mo’s folks (Jeff & Donna). Oh, I forgot Leo and 4 more doggy buddies. We had 2 campsites on the Blue loop (no hookups and spacious). Reservoir heavy with algae and warm. Put in boat for kayaking and punctured the hull. Celebrated Sooney’s birthday at campsite C38. Kayaked, biked, and on Saturday we were joined by Karlins and Heyermans for a music fest. Camped in the rental house driveway. Played 3 days at Bandon Crossings with the Cinco family. Mo and Stacey got hitched and we celebrated with the best of ’em. Camped in site #9 with Bob, Bev, the Heyermans and the Karlins. Great fun. We also had site #10 which paralleled #9 so it made for a camporee feeling. Booking #11 and #12 and you have the entire point to yourself. #11 is the optimal site with a private beach. Samoa campground is right on the spit, way to the south end of “North Spit” of Arcata Bay. On day 3 continued to the end of the spit and walked to the end of the jetty. Hookups and quiet until 4am when a bunch of travelers used the “campground” as a parking lot for gathering. Got into the fairgrounds and saw Barn Owl above the bleachers. Owl pellets all over the seats! 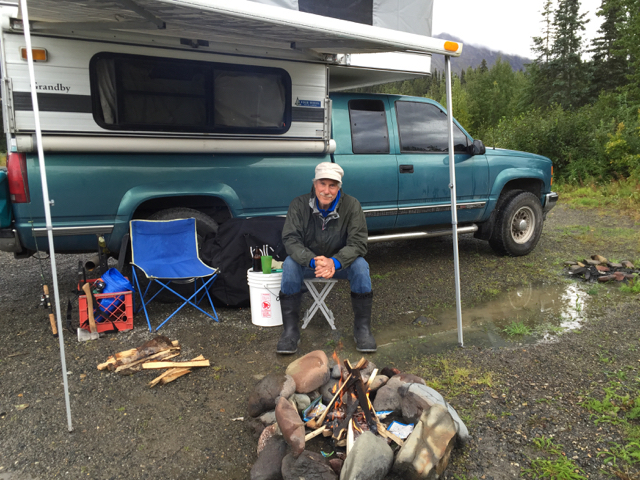 Camped with Marty & Terry on site 25 – right on the water of the lagoon. Saw Snowy Plover (life bird) on the spit in a protected area. WAY too cold even though I had heat, shelter, and bedding. Most annoying was listening to snow removal machinery working all night cleaning the parking lot due to excessive snow. Part of John Day Fossil Beds National Monument, the Painted Hills Unit is west of the town of John Day. We drove through the unit and just after leaving (crossing the cattle guard), we camped in a BLM pull-out .5 miles from the monument boundary. Absolute silence for the only time on this trip. On Hwy. 26 en-route to John Day Nat. Monument. Clean site with hookups, showers, and a RR museum. The beautiful Hwy. begins in Vale, OR and continues all the way to Prineville, OR. Stunning autumn colors. Snake River Birds of Prey National Conservation Area, Kuna, ID. Camped along the Snake River in primitive campground. Beautiful canyon with historical Guffey bridge nearby. 4 miles off Hwy. 95 along Salmon River. Quiet and beautiful canyon where we parked on rocky surface. Canyon Wren was our closest neighbor. 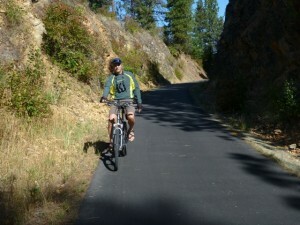 Rode the Coeur d’Alene rails to trails bike path. Moved to sunny Wapiti CG with hookups. Dried all cushions, rode 15 miles in sunny weather on our bikes. Arrived to dark campsite, very cold and rainy. 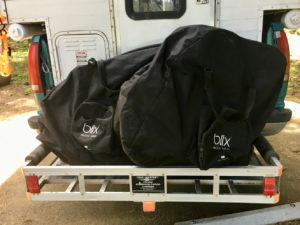 Appointment for Tuesday in Prince George for RV repair. Spent day in Prince George. Very clean and quiet. Free firewood, wifi, and right on the Buckley River. Rode bikes to Farmers’ market. Lovely lake side campground, mirror-like surface in the morning inspired a campfire to accompany our coffee. Walked both trails on either side of campground. 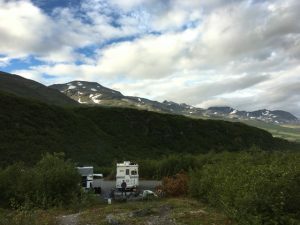 Site #19 where Karlins camped day before; visited with Ted Murphy-Kelly of Yukon Bird Observatories. Rained all night and mist net activity cancelled. RV park south of Whitehorse past the airport. Site #28 right on the lake; morning campfire with coffee to mirror-like lake surface. Passed on Twin Lake earlier on the drive south due to wind. 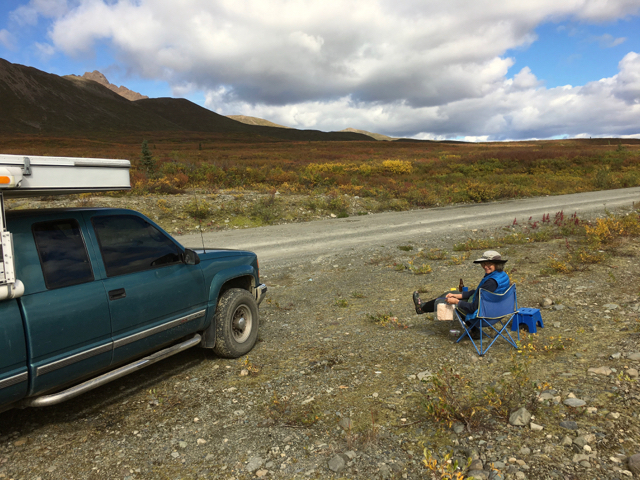 Up the Dempster Hwy., Met Stephanie Ryan & Arik, drove up highway to Chapman Lake. 1st Nation campground, clean. Visited Farmers’ Mkt. and then up Dome Rd. for overlook of the city. Sooney biked Dawson City. Noisy although right downtown; easy to walk to restaurant. Stopped in Tok for showers, groceries, & gas before heading up to the Yukon. Aurora Borealis. Camped with Karlins, buggy through a.m. walk; beautiful sunset. Fished for Graylings in Delta Clearwater River; Aurora Borealis first night. Sooney and Terry bike ride. Camped with Karlins in beautiful tundra meadow. Lunch & a beer along the Denali Hwy. Birch Hill Cemetery, Farmers’ Mkt., Lane’s Quickie Tacos. Met Maggie early in morning for museum visit and then hit the road south for dinner at 229 Parks Hwy. All-day shuttle bus to Wonder Lake. Biked along the Denali Hwy. 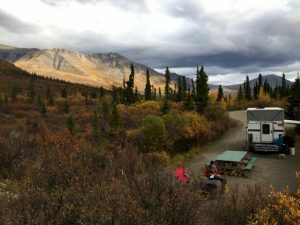 Site #29 with view of Denali. Hiked Alpine trail. after fishing at the Chilitna Wayside. Camped the night before meeting up with Monster Truck. Site A7 – kayaked on lake with Swans. First view of Denali. Great birding. Rode our bikes to Talkeetna Lakes Trail and brewery in town. Spent day in Anchorage, enjoyed Tony Knowles bike path. Between Turnagain Hwy. and RR – noisy but close to Potter Marsh. USFS site #39 – strong winds. City-owned CG on hillside of Homer, right above the Pratt museum. Birding excursion by Sooney and visit with Art at Pratt Museum. Muddy, potholed unpaved area right on the beach. Lovely sunset but windy. 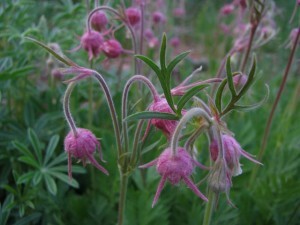 In Kenai. Hiked to overlook. Camped one night after our visit to Glacier Fjord NP. SeaLife Museum. Arrived late and dry-camped with Karlins right on the water. Wet soggy and did laundry. Saw Pink Salmon at hatchery. Beautiful spot on top of ridge. Just downhill from Worthington Glacier. Drove to Chitina, AK and decided not to continue to McCarthy & Kennecott. Camped with Karlins en-route back to Richardson Hwy. Drove Nabesna Rd. all day in rain and decided to turn back. Needed shower, laundry and hookup to catch up. Passed through Tok and south en-route to Nebesna Road. Buggy. Late night arrival. Saw Red-throated Grebe with young on lake. Buggy. Nice campground with firewood provided. Swam in the lake. Spent one night before heading on long road trip to next ferry in Valdez. 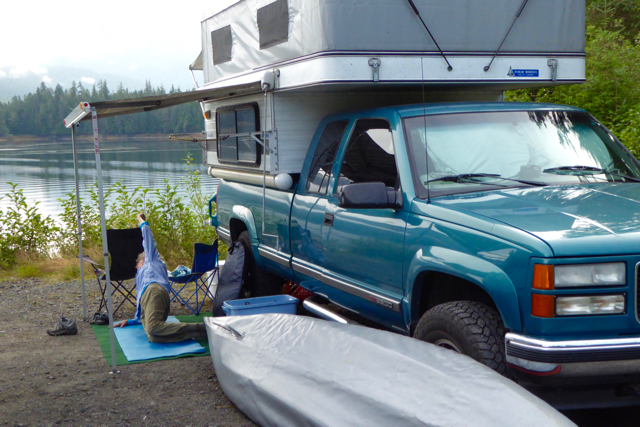 Returned to Site #15 after our visit to Glacier Bay National Park. Site #15 right on the lake. Good view of what’s left of the glacier. Sooney and Nick hiked to the glacier. Sooney doing Yoga in Wrangle. Disperse camped with all 4 campers parked right on the lake. Good kayaking and peace & quiet. Our ferry arrived quite lake and we camped overnight for free. Arrived from Port Hardy late and spent a couple nights before catching the Alaska Marine Ferry to Wrangle. Northern Vancouver Island prepared for ferry to Prince Rupert to join friends driving up through BC. Beginning of 3-month Alaska Adventure (# in brackets). Traveling initially with Bob & Bev Reeves. The 4 of us camped in Mora CG. 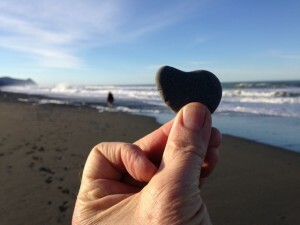 1.4 miles to Rialto Beach. Nick and Alicia spent a glorious sunset on Steve’s balcony overlooking the canyon. Alicia returned home while Nick spent the night before returning to Ashland. Nick camped in parking lot and Alicia & friends joined him. Early morning groomer runs. Four families camped together in B46 & B47. 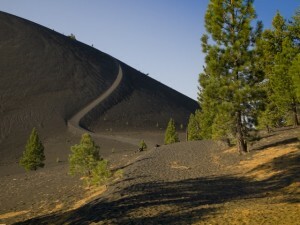 Hiked, kayaked, and summited the Cinder Cone—finally! 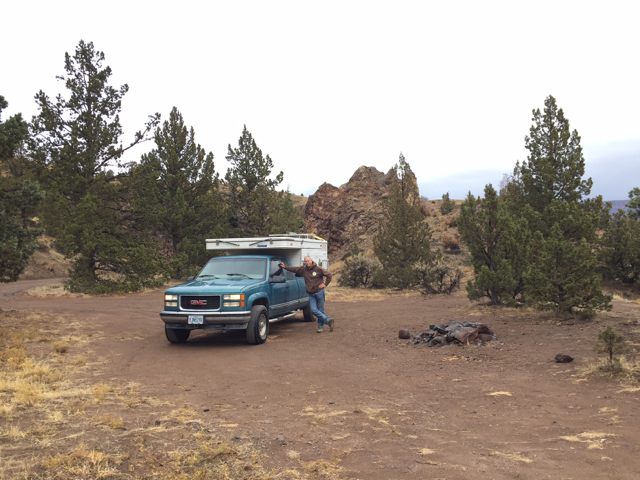 The campground was still closed, so we hiked to the Cinder Cone and free camped on a side road a couple miles from the park. And thus ended our nearly 8-week road trip that covered 8 states. Whew! Comstock Country RV Resort (5400 S. Carson St.). Noisy, clean and only RV park on Hwy. 395 (business) with trees. When we arrived, windy conditions blocked out the nearby traffic. Enter from Hwy. 50 near Carson City to site away from highways. Even better we were only campers in River Campground (9 spots). Level, nature trail, quiet and birdy. 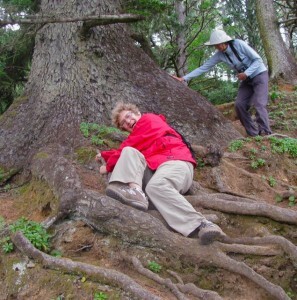 At 6,400′, we were comfortable the second time around. (See also night #52). We do suggest staying in the the group site if not reserved. Consider free camping ¼ mile before campground along on creek. The one closest to ranch was empty when we checked it out. Visited Spencer hot springs en-route to Lahontan. Hwy. 376 south off of Hwy. 50 for ¼ mile, the east on road going to Cave. Arrived late and host thoughtfully gave a reserved site to us. Hiked canyon right from Fruita campground and drove to Paradise Ranch/Creek morning of our departure. Purchased pies & cinnamon rolls available right in the campground! Nat. Bridges has a small campground (13 sites) fills quickly, so again opted to disperse. This time on the highway that quiets down at night. We also dispersed on nights #68-9 logged below. Lower elevation served us well, with a spot very close to the Delores River about 4 miles north of town. Good folks with a dream working hard to make the place special. Birding the “dog” path was fun. Layover due to repair work on truck (C. Converter), we searched out 2 state campgrounds on the West Fork of the Delores River, and both were not yet opened. So up we continued up just beyond Dunton Ranch (several buildings) and camped on a wonderful bend on the river that treated us to a night. Biked 5 miles of the “Boggy Draw” trial up on the bluff above town. Little did we know that a revered lake for Tiger Musky fish has a 2-mile riparian canyon beneath the lake’s dam. We camped on the “Canyon” side and hiked it daily from either of 2 trailheads. Easily survived a mild dusting of snow while overnighting in their parking lot. Very gracious. Called for advanced reservation (Fri.) with option to lay over on Sat. Good idea because of inclement weather. Clean and a bit noisy as its right on Hwy 25 to Albuquerque. Arrived with a tornado. That makes us the Tornado Kids. Deep canyons, bike rides along stream paths. No easy access to a greatly diminished lake so biked & caught up in quiet campground. Texas State Parks are great. Ditto of night #255. Texas State Parks are great. Emergency overnight when our Austin reservations were cancelled. A total of 3 nights on 2 visits, we enjoyed the biking & birding opportunities. Texas State Parks are great. Remote camping with great birding. Gorgeous setting and wonderful hiking. Lots of birds and hiked Santa Elena Canyon. Windy campsite in a parking lot atmosphere. Climbing on the rocks near El Paso. Phil Miller joined us for hiking and fun. 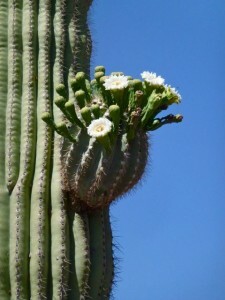 Good location for early visit (opens @ 6 a.m.) to Boyce Thompson Arboretum. Simply gorgeous. 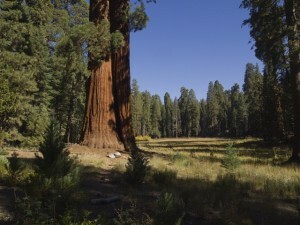 Reservations accepted for Black Rock campground. Following day drove into the park and found a spot at Ryan CG. No water and plenty of hiking trails. Our first camping event on our spring TX road trip. Full hookups with reservable sites and close to I-5. An early departure will get you to LA midday (less traffic) if driving to points south. Always clean, affordable hookups, and easy access to a great walking beach. The RV park associated with the casino is affordable, clean, and there’s a special “stay-and-play” deal for golfers at a very difficult John Daly signature golf course at Sevillano Links. Next door to Sequoia NP, Mineral King is the home of Kings Canyon where the John Muir trail shares the Pacific Crest Trail. We dream of a backpack on that trail to Yosemite NP. 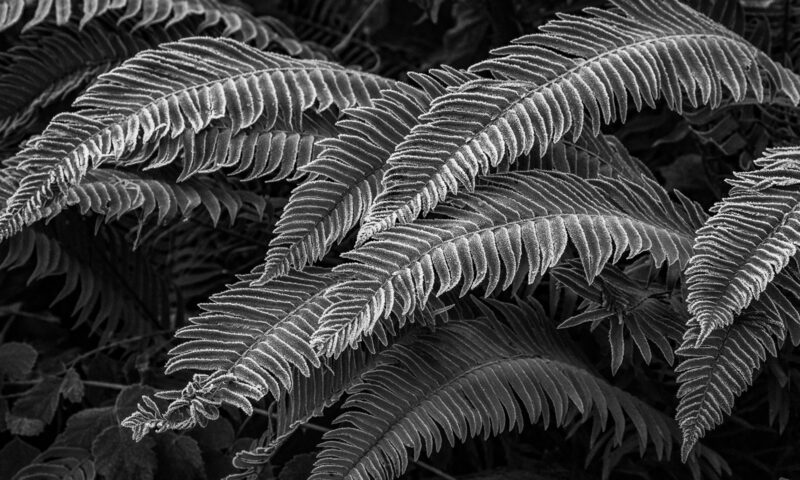 After a couple days in San Diego and Irving, CA, it was back into the natural world. This was a wonderful reintroduction to a destination my family visited back in the 1950’s. 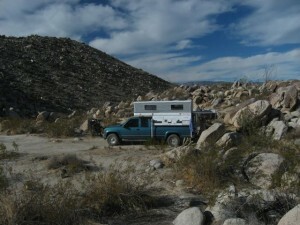 We’d heard of this super camping area from a resident of Las Vegas. An hour away, I drove to Prescott watching a caravan of cars leaving Las Vegas for the natural world. 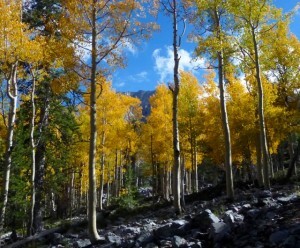 The last time Sooney and I visited Great Basin National Park, we had to camp in the lower elevation campground because the Wheeler Peak campground (elevation 10,000’+) was snow bound. The campground was open this trip and the fall colors were stunning. Particularly significant was hiking the 4-mile trail into the glacial moraine to awe at the 3,000-year-old bristlecone pine. A short drive from Ashland. Arrived in the late afternoon off of Hwy. 89 on the road to Susanville, CA. While only an overnight, the hike up to the cinder cone was really difficult and a great way to embellish a sunset. Family Camp assembled just outside Sisters, OR, this year. 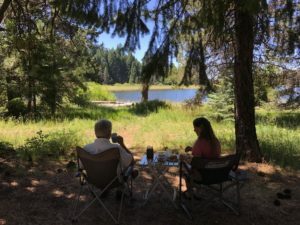 A bunch of us gathered our wagons and ate, hiked, and generally rested at campsite #1 – by far the most beautiful spot on the gorgeous Metolius River. We couldn’t miss an opportunity to see and hear Alicia performing live. Along with several of her friends from throughout the state, we camped on the property of Jessie & Rachel Dean and enjoyed 2 days of great music and laughter. Great inaugural trip for our camper in 2014. Photos are available at “Photo Galleries: 2014” (on the right). After a long drive and lunch in Hood River, we found this place for a bit of peace & quiet before assaulting Portland over the next few days. Clean, senior discount, and WIFI provided. 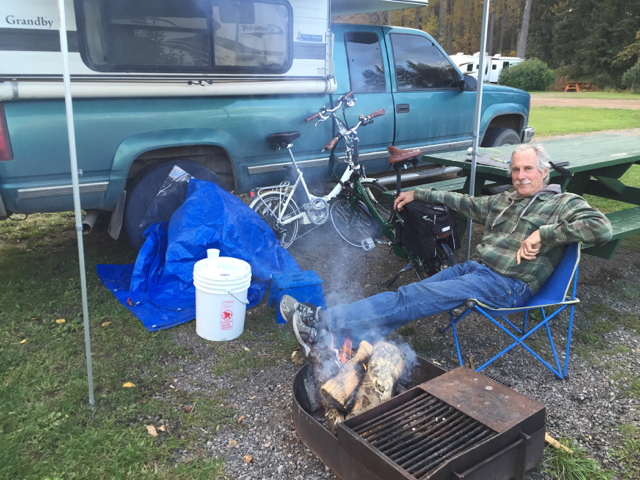 One of 3 campgrounds in Heyburn State Park, we drove all day from our Kennewick WA motel and arrived via Plummer. 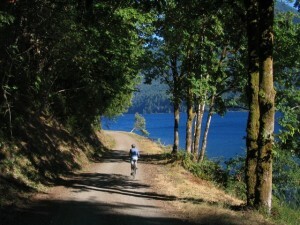 Power hookups and a perfect location for accessing the Trail of the Coeur d’Alenes rail/trail bike route. The following day we rode 10 miles to the small community of Harrison (20 total), and the following day broke camp and drove to the Springston trail head and rode 6 miles from there (12 total). Parked in the driveway at the Lion Mountain house and hooked up. Sooney spotted a wildlife refuge outside Bonners Ferry, ID, and we birded there for the afternoon (after a tasty lunch at the brewery). After birding, we were advised that better birding was 30+ miles north on the dirt access road so off we went arriving after dusk. 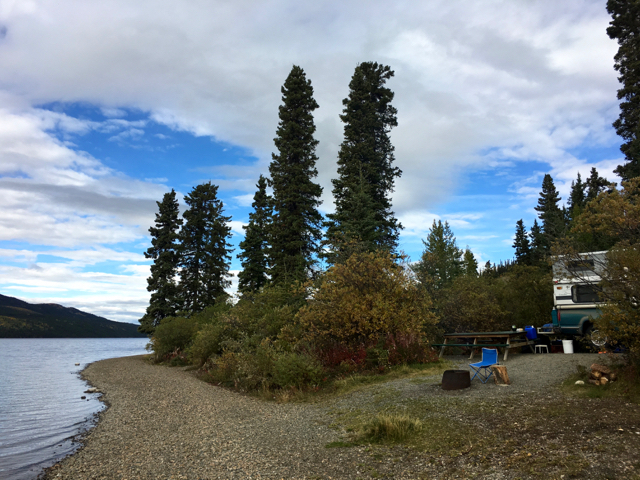 There was nobody around so we dry camped on the upper Kootnay River with a view of the Canadian Border Crossing/Customs across the river. The next morning, we birded and and had a leisurely drive to Whitefish. We drove from Beaver Creek CG on Priest Lake into Sandpoint without any clear destination, simply a place to camp for the night. We inadvertently found Springy Point after crossing the long bridge and I saw a sign on the immediate right. About 4 miles in, it honored our NP Senior pass for a discount and, while cozy, was a bit noisy in the morning with commuter traffic. Lunch on Upper Priest Lake, ID. 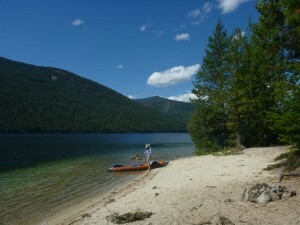 George and Linda suggested this great campground on Priest Lake in Idaho. Not far from their lovely home in Colville, WA, we arrived later in the afternoon and were pleased they honored our NP senior pass. We spent 3 nights there, and on separate days used both our kayak and bikes to visit Upper Priest lake. The narrow channel is a sweet kayak trip and the occasional power boat never proved a problem due to the no-wake regulation. We were forced to evacuate the afternoon of our 4th day due to impending weather and danger from falling tree debris. Our first night on the great ’13 Summer NW tour was spent in a motel in Redmond, OR, due to our dealing with propane problems. The next day, we drove like crazy and made it through Yakima, WA, before tiring at the Vantage, WA, offramp. Not sure what was available and being so dark, we followed the camping signs for several miles and settled on a nice, level spot with hookups. The next morning we discovered we’d camped on a dammed section of the Columbia River. This spot gets pretty windy and hot in summer months and is most likely more suited for power water sports. Clean, however. We headed out of town for a couple days and enjoyed using our kayak on our local lake. 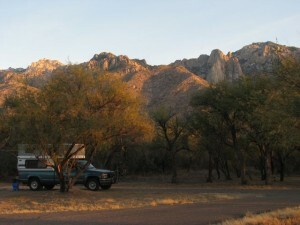 Visited with neighbor Kate who was camping over at Wild Cat CG. Alicia and bandmates were in Ashland for the gig at Oberon’s Tavern and needed extra beds. We accommodated by camping in our driveway. Steve arranged for the whole extended family to stay on the McKenzie river in the Core Cabin. We fished, floated the river, hiked, biked, and sang just about every song we could in front of an on-going fire. Very clean soak pool, showers, and hookups for an affordable price. Saw burrowing owls. Basic hookups without easy access to bathrooms and showers. The good news was the birding, and we spent two entire days exploring the Malheur Wildlife Refuge and day tripped the nearby fields looking for the reclusive Bobolink. Easy drive to Diamond Hotel for a scrumptious meal. Camped in a glorious environment with Bob & Bev. Nearby hikes up the Blitzen River and up a bluff to sage-covered high dessert. Easy biking to “P” ranch and 3 miles to Frenchglen for a wonderful meal. Floated in the a.m. and it took us 1.5 hours to float the Wood river from Kimball ST to Wood River Park where Nick left a bicycle for shuttle back to camper. 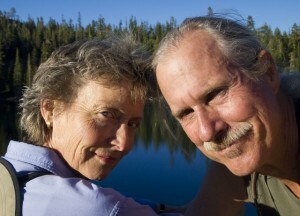 Next day, rendezvoused with John and Susan and put kayaks in Wood River on Weed Rd. Left a shuttle vehicle at Petrick Park. Sooney flipped Susan’s kayak and took a bath with the ducks at the dock at Petrick (she got the first shower at their cabin at Jo’s in Ft. Klamath). Campground was in poor condition (abandoned?) so we camped at the day-use area at the headwaters of Spring Creek. Great access to water for kayak and we had the place to ourselves. Spoke with Joel Brain and learned more about the Mare’s Eggs. Spent the day hiking the more remote Lefler Trail along Walker Road (in J. Smith State Park). Headed north on 101, birded Ship Ahoy and St. George Point, and then drove up the Chetco to A. Loeb (site 33 on water with power hook-up). Morning on water with Chat, common yellow throats and a song sparrow. Ranger (year-round) said June is a really good month for kayaking on the Chetco, especially if there has been rain. Look into 7-tenting campsites at Ludlum House for us to use. En-route home, lunched at Panther Flat campground/day use area on the Smith. A short drive from Ashland, we camped in site 77 (Gay was waiting in this lovely campsite and spent the night camping with us). The next day we explored Lake Earl and rode bikes from office of Tuwalo State Park along the Peninsula Trail. Wednesday, Sooney birded the Hiouchi Trail (across the seasonal bridge from the campsite). In the afternoon, we walked our bikes over the bridge and through the Stout grove and cycled Highland Hill road to the trailhead of the Boy Scout tree trail. 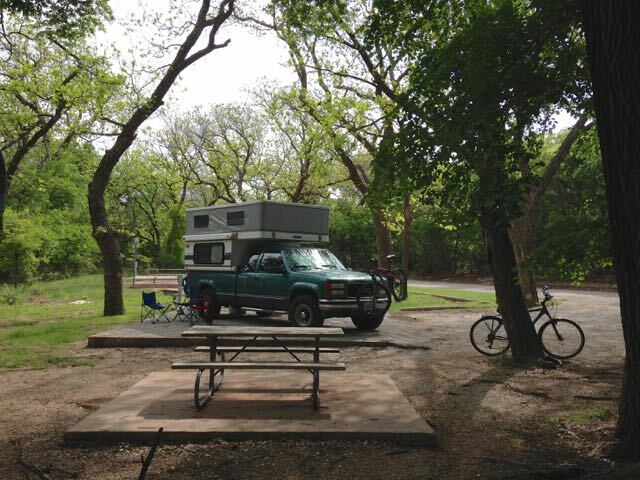 This great campground is a short distance from the eastern entrance to Mt. St. Helens Volcano National Monument. We would try for C-64 the next time we visit (large, private, and close to river trail). Arrived late afternoon and lucked out by snagging E-9 for a night. 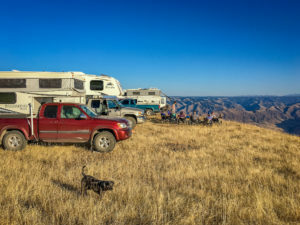 The campsites are large and private, and ours featured easy access to the Silver Falls trail from both sides of the loop (close to hot springs as well). Camped in Cougar Rocks but found driving and popping up at the Paradise Picnic area a better value each evening. Also popped up at the picnic area directly across from Cougar Rocks. Hiked all over so worked up a good appetite. Chris and Nick spent a couple days in the Redwoods, played bocce, and ate fish tacos in Crescent City. Combined with Crater Lake and Mt. Lassen Volcano National Parks, this is one of the major stops on the So. Oregon Triathlon. Shared Hunter’s spot at T-3 with Christopher Richards. Mt. Lemon east of Tucson in the Catalina Mts. – Hoped to meed Eric Amundson and had sporadic cell connectivity. Future visit should take loop trail from Summerhaven (post office) through the woods. Visited with Phil Miller for an overnight before leaving the anticipated heat in Tucson (107°) versus the wonderful climate in the “sky islands” to the east (70° at 6,000′ in the Catalinas). Bogs Spring campground. Hiked to Kent springs > Bog Springs loop. Plenty of shaded canopy in early morning, then shaded on easier switchback route down to campground. Got in late and almost got skunked because this was the weekend for the annual mariachi band camporee. Park has good kayak water, and has paved sites, can reserve in advance, and has lost some of its charm. Camped in commercial Queen’s Mine RV in old town. Centrally located, showered, laundry, and easy walking to Santiago (lunch), Bisbee Brewery, and Screaming Banshee Pizza for wonderful salad and appetizers. Bonita Campground site #20. After securing campsite, drove to Echo parking lot and walked the Echo Canyon loop (approx. 3 miles. Best in late afternoon, and after completing hike, drove to Masai Point at sunset for a cold beer and view. Day 2 took free shuttle from Bonita campground up to Echo Canyon trail head and walked to heart of Rock Loop and on to Visitor’s Center and then campground (aprox. 8 miles). 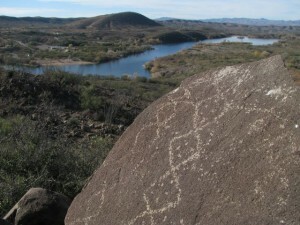 Coronado National Forest. In the Chiracahua Range, 1/8 mile (easy bike ride) from S. Fork of Cave Creek; very good birding and easy access to Portal, AZ. Drove a loop through Paradise, AZ, and wrote a post with a link to photos. Very near Phil Miller’s in Tucson. Very remote and that’s its main attraction. Off Hwy. 60, 15 miles west of Globe and a couple miles before Superior. 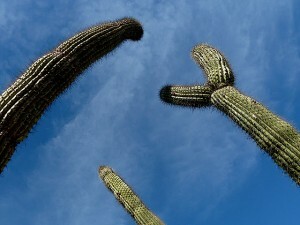 Good location if planning on visiting Boyce Thompson State Park/Arboretum just west of Superior. 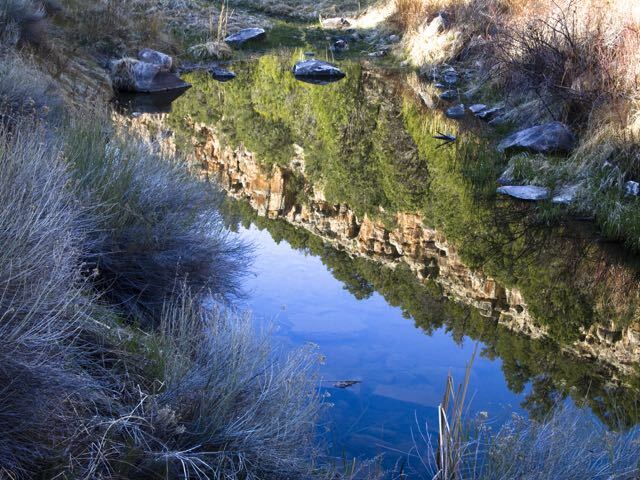 Tonto National Forest. 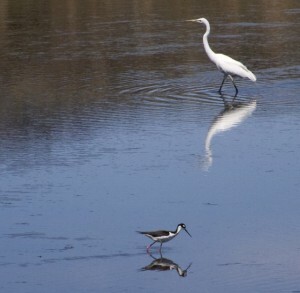 Good birding on Apache Lake. Burnt Corral is on the Apache Trail through the Superstition Mountains. Traveling from Apache Junction along the Apache Trail, series of 3 lakes (Apaches Lake was the second lake). Many primitive spots along lakes to boat/kayak. Pass required in advance (no pay stations in campgrounds). We purchased our pass after the fact at the Nat. Forest Visitor Center at Roosevelt Lake. If heading from the west (Phoenix), purchase your pass at Marina on Apache Lake. Tom & Carol Glover let us camp in their driveway for our inaugural visit. 14+ miles (mostly unpaved) from Chester, CA. Camped at Site #14 with Lynn Ledbetter and John Warden. Hiked first day to Crystal Lake (.5 miles from campground). Next day explored south shore of Juniper Lake and continued to Indian Lake for lunch. RT 7 miles. Final day hiked up to Mt. Harkness lookout (1,250 vertical elevation). Gorgeous hike and had fun visit with Lorenzo, the fire lookout. Drove home on Hwy. 36 toward Red Bluff and chose a “shortcut” on Paynes Creek (Lane Valley Road < A6 > Wildcate Road < Black Butte Rd. > Hwy 44) to Redding. Turned out to be a long-cut but beautiful country (particularly in the spring when the grasses are green). Ate in Redding and arrive home late. Mallard Marsh campground, site #3. Access to water via trail across from camp host. All electric motors and paddles only. Fab. kayaking. Paddled to waterfall and all the way around the lake on two separate days. Our next-door neighbors was fishing there and caught (and released) 30 land-locked Atlantic Salmon in 4 hours. Birds: 3 sandhill cranes, flickers, mountain chickadees, juncos, gray jays, stellar jays, creepers, yellow-rumped warblers, robin, raven, red-breasted nuthatches, red-tailed hawk, osprey. Left Hosmer and drove along east shore of Elk Lake. Checked out Little Fawn Campground but a bit close to Hwy. 42 (?). Other than visiting the lodge for ice cream, we probably wouldn’t return. Continued to Sparks lake and drove several miles on dirt road to the boat launch. Stunning views of Mounts Bachelor, South Sister, and Broken Top. Paddled south to wonderful inlets. Campground near Sparks was unremarkable; dusty and close to the road. Birds: bald eagle, osprey, American pipit, yellow-rumped warblers, gray jays, common mergansers. Site #19. Southwest of Bend, good site for kayaking because near the boat launch, but in noisy in the a.m. due to power boats and bait fishermen. Departed at 10 a.m.
Site #2. 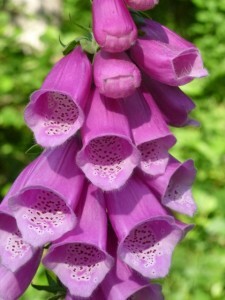 Hiked from King’s Creek Picnic Area to Bumpass Hell (3.5 miles each way) with beautiful flowers. After hike, drove to Bumpass trailhead in the shadow of Mt. 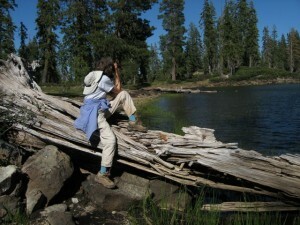 Lassen and plan to do this route another time. Next day, while driving to North Summit Lake campground trailhead, our odometer changed from 99,999 to 100,000. Hiked to Twin Lakes and swam in Upper Twin in a private cove. Rained on us on the hike out and glistened off the Pinemat Manzanita in the afternoon light. Final day hiked to King’s Creek Falls and had a wonderful visit with a dipper. Saw the video at the Manzanita Lake visitors center and weren’t impressed with the campground or the cabins. 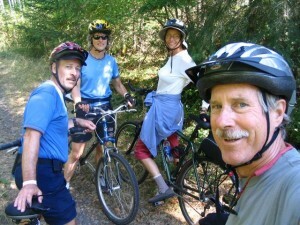 Joined Tim and Jane Hartfield and Bob and Bev Reeves to participate in the Cycle Oregon Weekend. Rode 43 miles on Saturday but opted out on Sunday due to rain. Nick camped solo in T10, and Sooney joined the next day. Sooney called Nick about receiving 3 phone messages from Jane Cook that turned out to be informing us of Julianne’s departure from Jordan (and from Peace Corps. 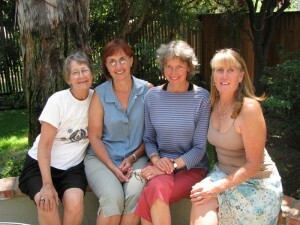 We were joined by the Hunters and returned mid-day Friday to begin the saga of Julie’s return. Nick camped solo in site T10 the first night and Sooney caught a ride up with Susan and John. We hiked a portion of the Brown Mountain trail off Hwy. 37 > road 3705. We rode around Hyatt both days. Birds: western tanagers, mountain chickadees, white-breasted nuthatches, gray jays, stellar jays, western wood peewees, killdeers, spotted sandpipers, juncos, song sparrows, osprey, red-tailed hawk, cormorants, mallards. Part of Sooney birthday camping trip. Site #B30. Walked on expansive beach. 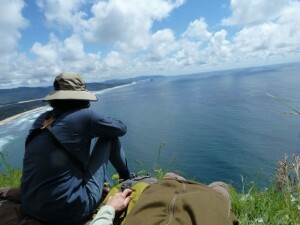 Took the “north” trail to Cape Lookout trailhead. Walked a short distance on the the lookout trail and opted to sit and enjoy the southern view rather than walk on the muddy trail. Birds: lots of white-crowned sparrows, song sparrows. Part of Sooney birthday camping trip. We were in site #57 overlooking Lake Marie. (A bit dark but quiet without the crowds). Birds: osprey, stellar jays, black-capped chickadees, white-crowned sparrows, juncos, song sparrows, herd wrens. Camped right on the water along the north shore of Senator Wash. Kayaked extensively and had some marvelous birding experiences, including one 30-minute session with a Great Egret – produced wonderful video of that magnificent bird hunting. 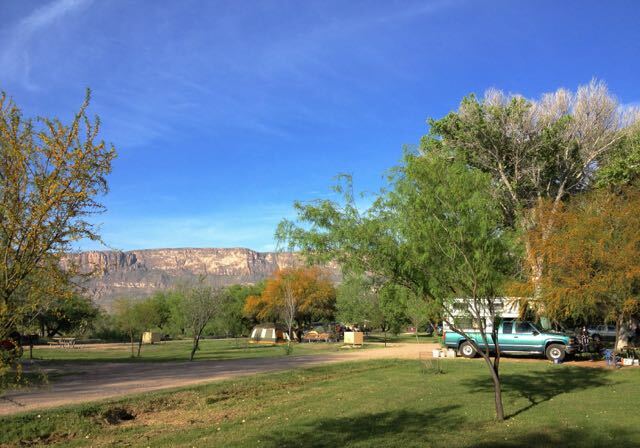 Changed campgrounds and overnighted at Visitor Center Campground. Nearly empty! Drove the 17-mile loop road through some majestic country. Camped in Alamo Canyon, 3 miles off main road and had quite a sky to enjoy. Hiked around and saw a vermillion flycatcher. Bummer that no campfires are permitted. With Cattail as our base, we kayaked in the Bill Williams nature preserve. Mighty windy. Hiked the 1-mile Ring’s loop trail where we climbed through narrow and steep passage aided by iron rings attached to the rock face. Dispersed camping at its very best. The evening winds got the best of us, however, and we headed south after a lovely morning. Drove from Beatty, NV, through Titus Canyon and survived a windy night in our trusty camper. 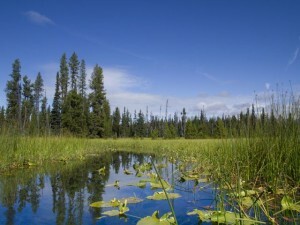 Features the headwaters of the Wood River. 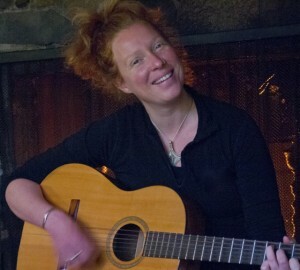 Met and sang with the ukelele ladies Shirley, Sylvia, and Madeline around there campfire. They shared the secret of Spring Creek behind Collier State Park on Hwy. 97. Camped in site T9 with kayak and next door to Paul and Goly. Camped in the RV park located on the mouth of the Smith River (California). Camped at T-1 for a couple nights, enjoying our inflatable kayak in the early morning light. Tried fishing with it and all proved successful…except the fishing part. Maybe next time. Camped with Jon and Karen Hoster. Good fun biking and seeing how they survive in their huge RV (compared to ours). 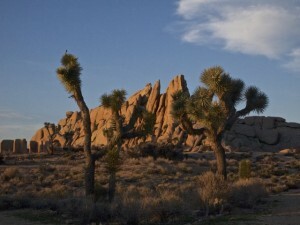 Camped in White Tank campground, small and situated amidst beautiful rocks. Pinto Gneiss meets granite there. $15 w/o hookups. Great trails into lovely Catalina range. Really close to Tucson (and busy highway). Great birding place. Sandhill cranes flew overhead both to and from feeding south of us. Ate at Array Cafe where locals eat. $20 got us power and close proximity to Bosque del Apache National Wildlife Refuge. Great biking. In nearby Socorro, NM, had fabulous juevos rancheros at Sofia’s cafe. Truly exceptional (and hot) salsa verde. Adjoins Sonoita Creek Nature Park a 1-mile bike ride from our campground. 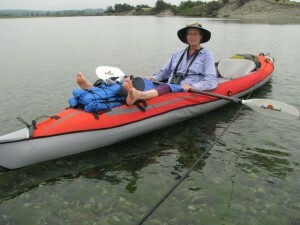 Great birding, lots of informative volunteers, and will bring kayak on return visit. Patagonia Mountain Foods in Patagonia, and Green Fields bakery and cafe in Sonoita. South of town abut 1/4 mile and features fabulous breads, pastries, and other delights. North of Parker Dam on Lake Havasu. 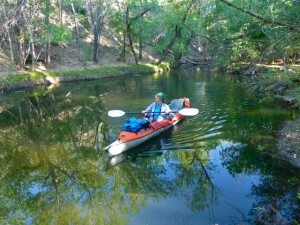 On a return visit will bring kayak and camp and explore coves with boating camps. Checked out River Island State Park (quieter because no market/services) and Buckskin Mt. State Park (and trails). Both are south of Parker Dam and on Colorado River and get busy after Christmas. Check out nearby Emerald Canyon Golf Course. Furnace Creek Campground. Between Thanksgiving and Christmas is least-visited time, so there were many sites available. We witnessed both storms and a rainbow. Shakedown cruise with our new Advanced Elements kayak. Camped at Wild Cat Campground, site #4. Site B 12 & 14 (complete with hookups). 8.7 mile Canyon Rim Trail provided us ample time to walk and talk with Alicia, who found time to camp with us. Directions: from Salem, take Hwy. 22 > 214 > park. Terribly noisy on the 101 side. Spaces along the cliff with ocean views (and sound) would be better (A20-A25) and have power and cable tv hookups. The good news is we were camping with Julianne. 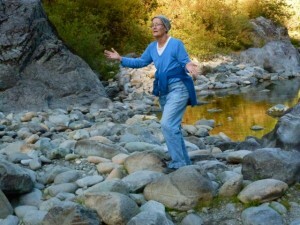 We traveled on the north side of the Chetco River to A. Loeb State Park and found that to be delightful. Cool from the shady trees, quiet, and all have power hookups $12-16 per night. Best spots on river are 27-29, 32-34, all first-come-first-taken. There are 3 log cabins [42-44 $35 per night] that may be reserved (no water or toilets but great spot on river and perfect for family gathering). 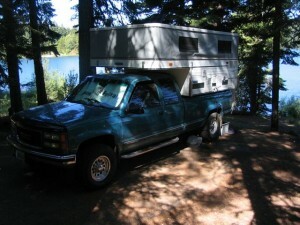 Truck could possibly be parked in cabin vehicle park and be raised for another sleeping option (w/o power, etc). 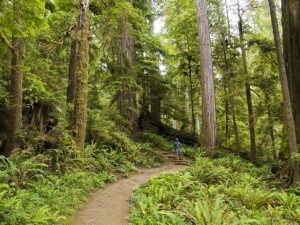 We walked 3/4 mile Riverview trail that connected with Forest Service Redwood Nature Trail. You may drive to shady spots on river for day use (set up camper OK). From the Loeb campground, drive up the Chetco via Forest road 1376 to the “Chetco River Gorge trailhead for some good swimming. 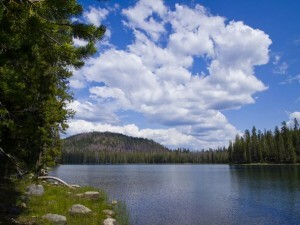 You may also access Vulcan lake by taking Forest road 1909 up the south fork 15+ miles to the trailhead. 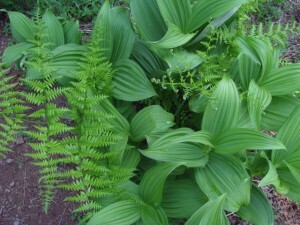 The hike to the lake is another 2 miles and the plant diversity is stunning. The big story are the pools beneath the Gorge and generally inaccessible to vehicles. 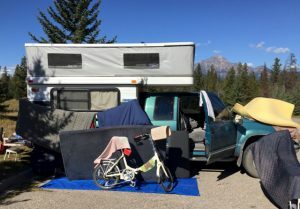 The trick is driving up 16+ miles to the bridge just past the Elbow Bow River Access. Across the bridge is a “T” intersection; keep left on Forest Road 1376. (Turning right puts you on Forest road 1909 and 15+ miles later drops you at the Vulcan Lake trailhead.) Continuing up 1376, pass the driveway to the Chetco River Inn and, further up, several options for dispersed camping (primitive $2.50/night right along the river). One place right on the river (we checked it out) is “Lower South Fork River Access” where several people were camping. Totally primitive, and pretty good distance from each other. Some shade. Also popular with ATV crowd. We continued on 1376 past the turnoff to the Chetco River Inn to the sign for “Chetco River Gorge trailhead.” The road to the river is pretty rutted and there’s parking at the remnants of an old wooden bridge. Great place for a swim, so we did. A group was setting up their annual family camp another 1/4 mile up the Chetco, but the road wasn’t passible for traditional vehicles. They used a ATV “quad” to transport their equipment the 1/4 mile up the river on the damaged road, and then dumped everything into an old aluminum boat that was hauled up the river like a sled the rest of the way. From their camp on the pools, they then drag their inflatable kayaks (Advanced Elements with aluminum frames) up river and ride the rapids back to camp. If you drove 4-5 miles up the road, you’d come to the “steel bridge” that provides access to the river above the gorge. I think there’s a trail down through the gorge, but attempts to raft it (or ride down on an aluminum boat) can be troublesome because of rocks “the size of house” and very fast water. Sounds like a great hike. Floating from the Gorge River Access down to Loeb Park would be tedious due to winds. Found one of many good spots east of McKenzie Hwy. south of Clear Lake. Campsite #5, off S. Santiam Hwy #20, 26 miles east of Sweet Home via Brownsville, stayed at campground 2 nights. Day 1: Hiked S. Santiam Wagon road for a couple miles and returned to campground. After lunch, drove to Iron mt. lookout trailhead (2.5 miles north off Hwy. 20) and summitted Iron Mt. Lookout and then explored 1/2 mile of loop trail to the north. Gold Bluffs Beach Campground, #12, right on the beach. Walked on the beach to Fern Canyon (where they filmed “Jurassic Park”) and returned on sandy road. Elk Prairie Campground in Redwood State Park, campsite #65. Suggest camping in meadow because it’s warmer and sunnier in morning. Turtle Creek campground. Drove to Lone Pine Campground where the trailhead to Mt. Whitney Portal is located, hiked 3 miles to impassible snow. 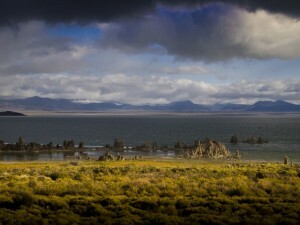 Nearby is Mono Lake that provides critical nesting habitat for two million annual migratory birds that feed on the brine shrimp. Following visit with Phil Miller, dispersed camp way out Cottonwood Canyon Road near Stove Pipe. Next day did 26 mile one-way drive through Titus Canyon. Sure wish we’d ridden that on bikes! Wildcat Campground T3 and T4 are great on quiet cove. Note: After leaving Capital Reef NP, we attempted to camp at Calf Creek but full. 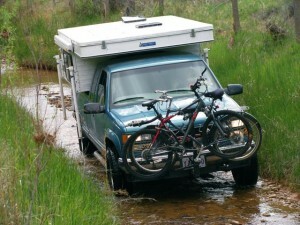 Advised to try Burr Road and found terrific campsite at Deer Creek. 6 miles from Boulder on Burr Trail Rd. 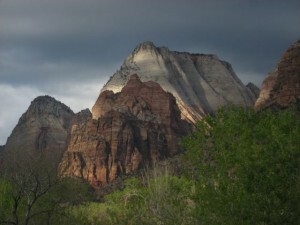 From campground, drive east to wonderful canyon and lookout into Capitol Reef. Dispersed camping first couple nights near White Canyon. Directions: 1.6 miles on Deer Creek Flat Rd. Entrance to Nat. Bridges is 2.7 miles. Drove along the Gunnison, exited at Pine Creek and walked a mile or so down river to a jet-boat launch spot. Camped later at Black Canyon of Gunnison. Drove to Durango to stay at Holly and Ben’s guest house. Had photovoltaic panel onto camper roof. 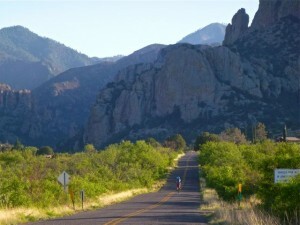 26 miles south of Poncha Springs, Hwy 285 > Hwy 17. Note: 1 week in Breckinridge with Jim and Carol Richards. Visited Rocky Mtn. NP, Vail. Reserved campsite #38 was not so hot, but next day moved to #13 (#14 & #7 good also). Try for #46 & #47 in reserved section next time. 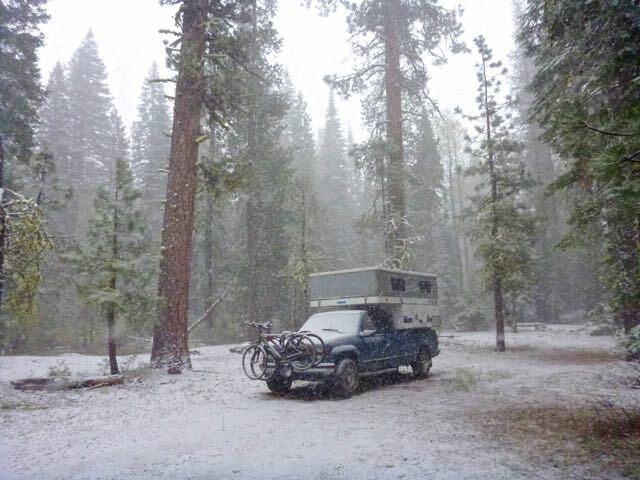 Upper Wheeler Campground closed (snow) and great birding on meadow area near Baker Creek Campground. Visited Lehman Caves at 1 p.m. and saw “Shield Parachute” formation (only speciman known in world). 3rd most formations in world caves. 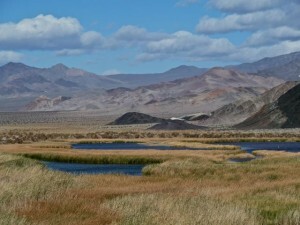 Spent day birding at Fallon at bird refuge. Then continued to Hickison (22 miles east of Austin, NV on Hwy 50 “The Loneliest Highway in America”) where we met Bob and Barbara Heyerman. Check out nearby hot springs for next time. Recommended by Rick and Julie Howell and beginning of Spring Fling. Drove with John and Susan and drove to “99 Bridge” along Metolius River. Sooney hiked from Wizard Fish Hatchery 5 miles along Metolius to where water enters from underground springs. John and Nick parked at Canyon Creek Campground and hiked from other direction to spring source. 8/8/ we hiked from Camp Sherman to headwaters of Metolius. Took 16NO2 (“Ship Mtn. Road”) past unique roadside bog where we photographed Darlingtonia Californica (kind of Pitcher Plant) and lunched at Big Flat on the Hurdy Gurdy. Found a sweet spot called Oro Grande Campground. On the 26th, drove to Middle Fork of Smith River, turned south to McClendon Ford Trail (off South Kelsy Trail). Swam in Middle Fork, then drove north en-route to 199. Water is available at Steven Memorial Bridge on Middle Fork. Arrived early evening to Patrick Creek Campground just off Hwy. 199 south of Cave Junction. Met group following morning and drove to Bear Basin Butte Lookout (13.5 miles) and spent 2 days with Institute hiking and looking at flowers at Bear Basin Meadow. Directions: east on Little Jones Creek Rd (“Jawbone Rd”) onto Forest Service FS16 (17NO5) turn left on 16NO2 at sign for Doe Flat trailhead. Lookout is .4 mile further (then left through gate .6 miles). Pierson Cabin is below lookout, and our campsite was below cabin. 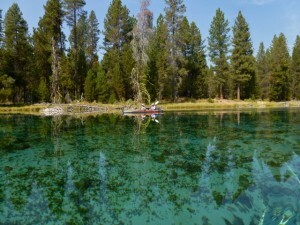 7/24: Continued past Buck Lake to Devils Punchbowl and returned to Buck Lake for well-deserved swim. Total walking distance 9.4 miles. Dispersed camp at Bear Basin Meadow. Off Hwy 26 in Shasta Trinity Forest. 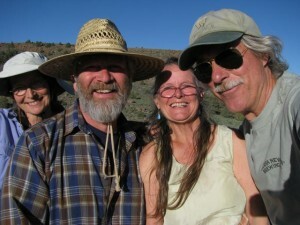 Hiked on PCT with John and Susan Barker. From Redmond, continue on 97 to Madras (not 26). About 2.5 turnoff on left to Trout Creek Recreational Area. At next fork, keep left toward Gateway, cross RR, turn right 2 miles of bad road to Trout Creek Campground and good fishing. 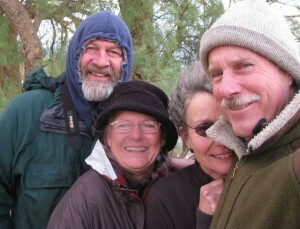 Siskiyou Field Institute birding class. 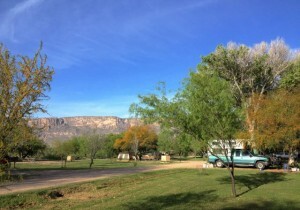 South campground with view of Watchman and sounds of Virgin River off Pa-rus hiking/bike trail. Rode bikes up Zion Canyon Scenic Drive, and hiked Riverside. Hiked Watchman and hiked Observation Point on last day. Internet available at Zion Canyon Coffee Co.
4 sites, clean, pit toilets, begins the AZ trail that travels across Arizona down to Mexico. Founded by a teacher. One mile south of Wire Pass trailhead that leads to Buckskin Gulch via slot canyons. Campground is 9.7 miles south of Hwy. 89 on House Rock Valley road (before milepost 26). Hwy. 89 connects Page, AZ, with Zion NP. Squaw lake. next time, go first South Mesa on left before Squaw lake so you can camp along the water. Proceed north to the shore for better camping. From 95, travel 7.2 miles to Senator Wash Rd. turn right. Rainy, cold, and we decided rather than driving up through Cave Junction, etc. we drove to Redding (via 299) to I-5 and rode home. Visited Joan Peachman, Bill Micaelsky (Stone Brewery at Escondido, CA) en-route to Anza-Borrego Desert. 5 miles from Port Angeles, WA. Up toward Hurricane Ridge. Campsite A11 (east loop is closer to trailhead). 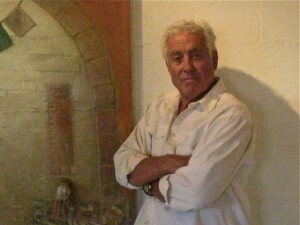 Note: 8/19-21/2006 – Gary and Agnes and attended Tali Sanvik’s wedding. Rode into Snohomish to visit wedding site and later hiked to a converted fire lookout with Gary. 26 km from Hwy 101. 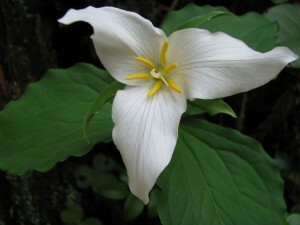 Hiked the Moss trail from visitor center (3/4 mile loop) then walked 2.9 miles along river to Tim Meadow along Ho River. 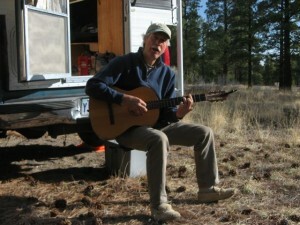 Met Nathan, a pianist from Indiana who had hiked without water far longer than we had. Saved his life by hiking with him back to Ho visitor center. One step above primitive camping. 5-mile bike ride to access Spruce RR hiking/biking trail. Highway 101 is really noisy and too close to campground (truck traffic at 4 a.m. no fun). Mouse snuck into camper through sliding door at base board. After leaving Port McNeil, BC, we drove toward Mt. Cain Ski area (Lake Shoen Provincial Park) and learned from a passing vehicle that it was full, so we opted for a rock quarry that was pretty cool. Driveway camping at the Howels en-route to Cunnard Island, BC, near Sullivan Bay where we spent the 7th – 10th of July with Trisha and Larry Mullinnix. 20 km north of Victoria, BC. En-route to Cortez Island visiting Laurie Heydon. We slept in her rental. 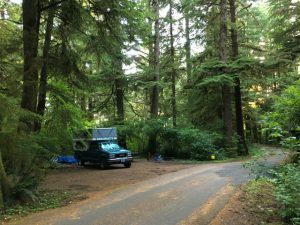 Private campground chosen because Cape Disappointment campground was full.